The IFTC is a world leader in the provision of firefighting training. 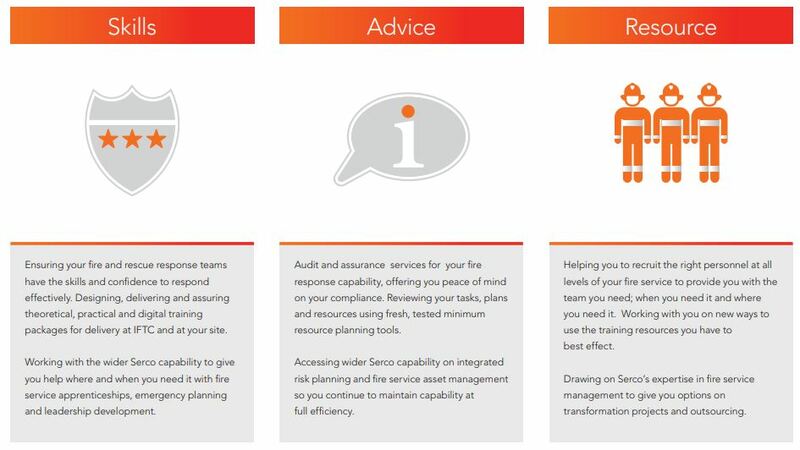 We provide the skills, advice and resource to ensure your teams have the knowledge and confidence to respond effectively to an incident. This will help you to save lives, protect assets and maintain business operations. IFTC offers the expertise and infrastructure from 35 years experience in supporting fire teams in the aviation, industrial, offshore, marine and civil defence sectors. We have over 25 training simulators to guarantee fresh, challenging and scalable exercises for recruits and experienced leaders. These give you the choice of LPG and kerosene burns for authenticity and variety – preparing your teams for the real thing. As well as practical training, you can develop, test and accredit your teams in our state of the art virtual reality suite to embed the understanding and application of incident command capability. We deliver accredited and tailored courses to meet your needs now and in the future. Your teams will stay in our onsite accommodation for a convenient, immersive, firefighter-only learning experience. Located at Durham Tees Valley Airport with easy access by road, rail and air. As a graduate of our internationally renowned training centre you will become an elite firefighter of the highest calibre armed with the skills, knowledge and instincts necessary to deal with extreme emergencies at any location in any country. The training we provide is thorough and rigorous and we set stringent and demanding standards. We have been training new and experienced firefighters from across the globe for decades and our facilities are second to none. We are part of international service delivery specialists, Serco, offering integrated, cost-effective business transformation programmes to governments around the world. With internationally recognised accreditation including ICAO Trainair, OPITO, JOIFF, MCA, IFE and Skills for Justice Awards, your training at IFTC will carry the badge of authority. IFTC trained firefighters are among the best in the world. As a graduate of our internationally renowned training centre you will become an elite firefighter of the highest calibre armed with the skills, knowledge and instincts necessary to deal with extreme emergencies at any location in any country. Fantastically ran course, it really was a very enjoyable experience. The instructor from start to finish really put his all into teaching us and the course ran smoothly due to his professionalism..
Only a short three day revalidation course, but as ever i learned lots. Not only from the instructors who managed to find the balance between aerodrome and helipads, but always good to see and hear how other RFFS staff work. All staff from catering, admin, fireground and instructors were positive and supportive, but not in an over learning way. keep up the good work. Fire Safety Training industry news..